This is a new listing that I thought you might be interested in. Visit this listing online to see more photos of the property, Google™ Earth satellite images, and much more. Feel free to call me at (941) 628-6768 or e-mail me at TammyVaughnSells@gmail.com. Gorgeous Lake Zappa Home with all the Bells and Whistles and beautiful panoramic views! Come take a look! Ceramic Tile Flooring in main living areas, granite kitchen counters with decorative backsplash, and stainless steel appliances. 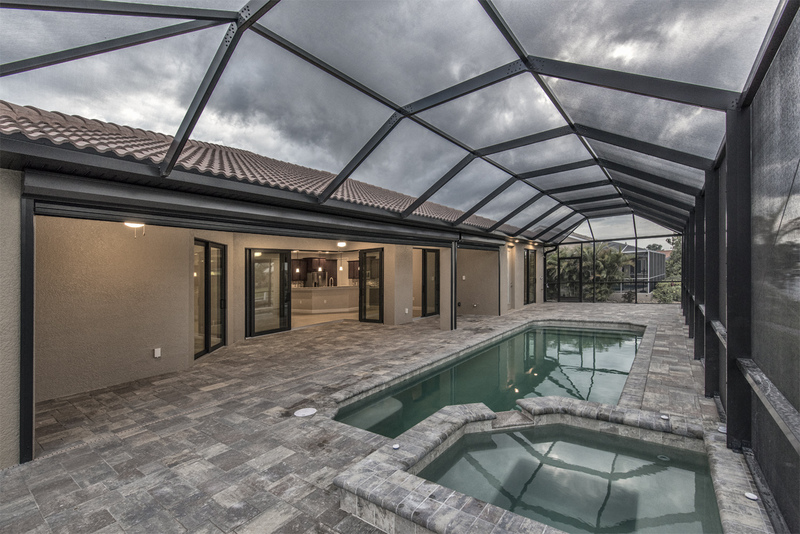 This home features a very large extended patio area, under screen, which is adjacent to the hot tub and heated pool. The entire interior of home is protected under Pulse, a motion detector security system, and is monitored by ADT for a quarterly fee. The Roof was replaced in 2016. New Pool Salt Generator 2017. Pool Heater replaced in 2016. Full House Gutters 2016. New Hot Water Tank 2016. New Washer/Dryer 2016. Pool Cage Rescreened 2014. Full House Accordian Hurricane Shutters installed in 2014. AC Replaced 2012. Windows and Front Door Replaced in 2010. Pool Pump replaced 2010. Garage Door Replaced in 2009. This beautiful home is priced to sell. Visit this listing online to see more photos of the property, Google™ Earth satellite images, and much more. 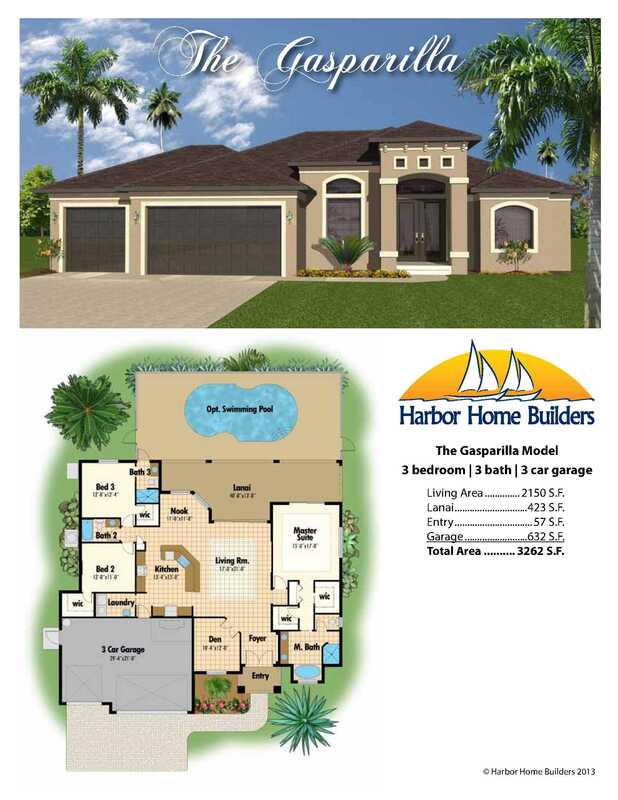 Beautifully upgraded Bayberry floor plan with numerous upgrades and a Gorgeous Long Lake sunset view. This two bedroom, with den single family home offers a gourmet kitchen with maple wood cabinets, pull out shelving, granite counter tops, and stainless steel appliances, with a French door refrigerator. The kitchen features a large stainless steel sink, with pendant lighting over the breakfast bar and under cabinet lighting with a fashionable backsplash.There is Ceramic Tile throughout with the exception of Carpet in the Master Bedroom. The Window treatments include custom made decorative valences and blinds in all rooms. 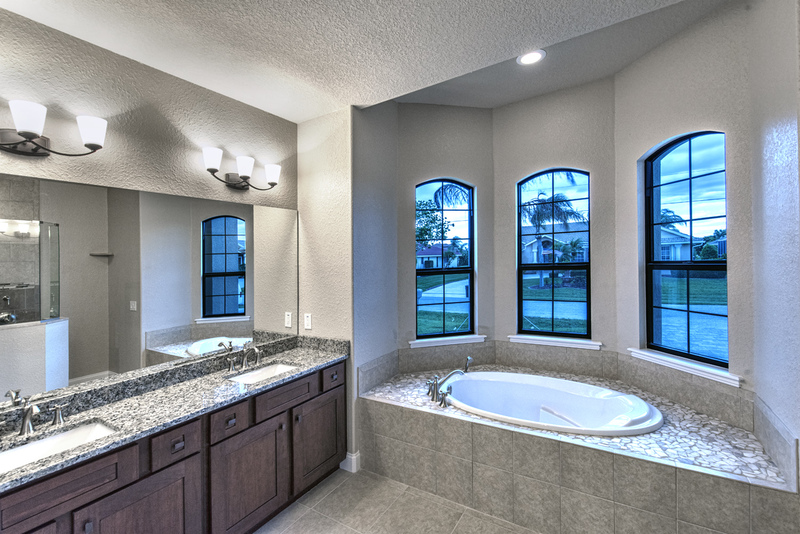 Upgrades are too numerous to mention and also include a roman style shower enclosure in the master bath, huge walk in master bedroom closet, grab bars in the guest bathroom tub, cabinets in laundry room above the front load washer and dryer, (which are included in the sale). There is a utility sink in garage, garage shelves, and an extended pavered lanai with a bird cage, backing up to a peaceful and beautiful Long Lake view, which offers the most breathtaking sunsets. Prepare to be AMAZED!Cypress Falls at the Woodlands is an 'Active' Adult resort style community for 55 Plus, and offers an activities director, clubhouse with large fitness center, billiard room, card room, ballroom, and catering kitchen. The swimming pool has a beach entry and there is a second resistance pool for exercise or to 'lazy' lagoon'. There are tennis courts,bocce ball,a Resident's garden area, and more. Located approx 10 miles to Englewood Beach. One Mile to Duffys Golf Course. SR 776, toward Englewood, Left on Seamist Dr, Left on Jennifer, Left on Gretchen Ave. House is on Right. Must SELLL!! This one won’t last long! Visit my website to see the details or call me today! Cascadia Villa offers numerous upgrades and 3 full bedrooms. Enter through the leaded glass front door to this High End villa which offers a Gourmet kitchen with 42'' cabinets (soft close droors), an additional built in buffet cabinet with granite counter tops and stainless steel appliances. The kitchen features a large under mount stainless sink with pendant light over breakfast bar, with under cabinet lighting. Throughout the villa, there are 8 Foot interior doors, Crown Molding, and the lighting has been upgraded with dimmer switches. The Ceramic Tile is laid nicely with a 45 degree angle, and the third bedroom features a hard wood floor. The Window treatments include Hunter Douglas Plantation shutters on all windows, and there are ceiling fans in all rooms. Upgrades are too numerous to mention and also include a heavy glass shower enclosure in the master bath, tray ceiling with crown molding in master bedroom, cabinets in laundry room, upgraded wood closet shelving in all closets including a california closet style in the master closet; utility sink in garage, and an extended pavered lanai with ceiling fan and a bird cage, backing up to a peaceful preserve view. Why build when you can purchase this new villa with light fixtures, fans, plantation shutters, and personalized touches already in place? Villa is available for immediate possession, no long wait for closing. This Beautifully upgraded Cascadia floor plan located in 55 Plus Active Adult Resort Style Community of Cypress Falls at the Woodlands. Cypress Falls offers Resort Style Amenities with Clubhouse, Tennis, Large fitness center, Full time activities director, a large beach entry swimming pool with separate resistance pool for exercise, bocce ball, residents garden, putting green, spa.. and many many activities!! Call Tammy Vaughn 941-628-6768 or Email: TammyVaughnSells@gmail .com to schedule a showing! The best season in SW Florida has finally approached us! Fall is the time of the year where pumpkins grow, temperatures drop, and celebrations last all day. Everything in sight is beautiful as the temperature drops to the low to mid 70’s and humidity slowly disappears. A slight breeze blows that keeps you refreshed while the sun warms you when you feel a slight chill. Fall is the perfect season in SW Florida and is great when planning outdoor events; such as, camping, canoeing, and festivals! Every year hundreds of people come down to Punta Gorda to attend the “Dragon Boat Festival” at Laishley Park, on October 29. As adults watch manually boats racing, kids play on bouncy houses while taking a big bite into a snow cone. A variety of booths are set up during these festivals to entertain you with games, face paint, and inform you about more upcoming events in SW Florida. For instance, the International Airshow and Haunting on the Harbor in Punta Gorda. The International Airshow fly’s jets in a sequence giving a spectacular show on October 21-23. Haunting on the Harbor is a spooky way to get everyone in the spirit for Halloween. It includes a haunted house, costume contest, and live music/entertainment held on October 28-31 in downtown Punta Gorda. At the end of the day people listen to music and hang out at many of the beautiful parks or Harbor front restaurants to watch Fall’s most colorful sunsets in Punta Gorda. Many have stated that the sun looks exactly like a pumpkin during Fall at sundown. Go to www.TheVaughnTeamSells.com for more information about Punta Gorda and SW Florida. Hi All!! Well, we are at the end of April, after an early Easter this year… and looking forward to Mother’s Day! The SW Florida Real Estate season has only slowed down minimally, but we do have another good month of season left. The expected season is typically from November to May, with the busiest Real Estate months from January to May. Temperatures in the SW Florida area this week are expected to be in the high 80s (The Highs) ; and being 6:30 AM the temperature now is 68, degrees. As summer approaches, the traffic will slow down, the restaurants will have readily available seating, and the Florida sun will heat the air. The boaters in the area are already spending weekends out at the sandbars and packing coolers to spend a day on any one of our beautifully natural barrier islands. I am reminded everyday what a paradise I live in, in SW Florida, every time I talk to you, the customers about the area, and what is so great about living here. A couple of the Summer Highlights in the SW Florida area are..
At Fishermen’s Village, 1200 W. Retta Esplanade, May 14th 10-4 is the Annual Key Lime Festival, packed with KEY LIME, and more Key lime, as village merchants offer samples of many key lime products. There will also be live music, face painting, a fun photo booth, and FREE admission. 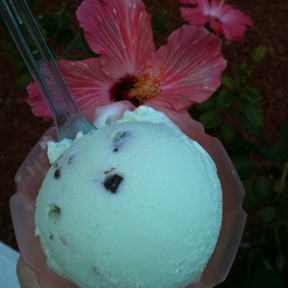 Last year Key Lime Fudge and Key Lime Margaritas were my favorites. 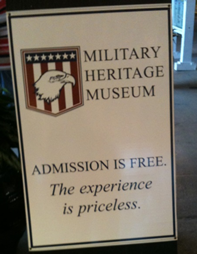 Also at Fishermen’s Village, King Fisher Military Appreciation Month in May is offering half price admission to any of the sightseeing cruises to for all those who served in the Army, Navy, Marine Corps, Air Force, and Coast Guard, with a valid Military ID or proof of service. Call the ticket office at 941-639-0969 for more information. The Punta Gorda Blues Brews and BBQ Fest will be on June 24 to 26th, located behind the Four Points Sheraton at 33 Tamiami Trail, Punta Gorda, FL, 33950, featuring singer and songwriter Randy McAllister, and brews from local kraft beer brewers. That’s just a small taste of the upcoming summer adventures in SW Florida. Where to eat? For Fine dining I have to recommend Turtle Club, 139 W Marion Ave, Punta Gorda, mainly because this is where my husband took me to dinner on Saturday and everything was superb, from the waiters, waitresses, and hostesses. The food was delicious (I had the salmon) and the staff was happy to personalize my dinner, upon my request. Before our amazing dinner, my husband and I enjoyed the First Wine Tasting at the Turtle Club. 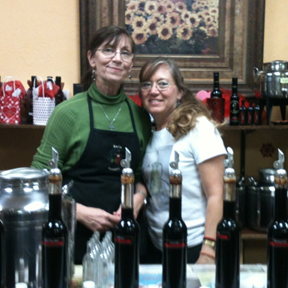 This was the first Wine Tasting I have experienced, and ironically, my first Boss, Jerome Presseller, from my first Job, at Howard Johnsons, (30 years later) was offering the cheese samples from The Big Cheese Gourmet Shop and Sunart Gallery located at 307 Taylor St, Punta Gorda. His lovely wife and local artist, Patty Presseller, Sunart Gallery, was also offering cheese samples with their daughter Julie. It’s such a small world. So, to sum it up, the location is Amazing! The area is Spirited! And the Real Estate Market is strong. New construction and newly built is still the most popular choice with many home buyers.  Most primary and second home buyers that I have had the pleasure of working with recently, have been purchasing 55 Plus or Deed Restricted Neighborhoods with Villas/ and Single Family Homes in the $225,000-$300,000 price range in local Communities with a clubhouse, community pool area, activities, and with monthly Dues of less than $300. 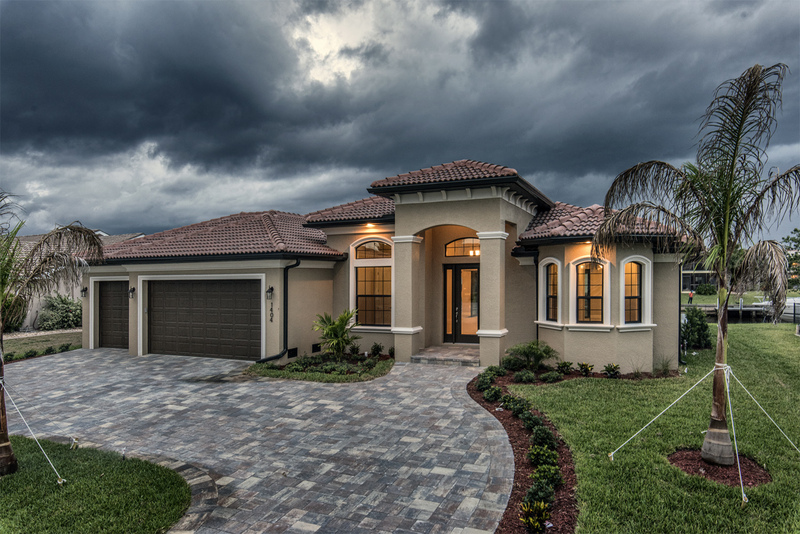 There are still new construction villas available for very close to $200,000 in 55 plus communities in SW Florida. As a Realtor, I appreciate working with you, my customers and providing the Information you are looking for . I make every effort to offer a positive experience through to the closing of your new Florida Home. 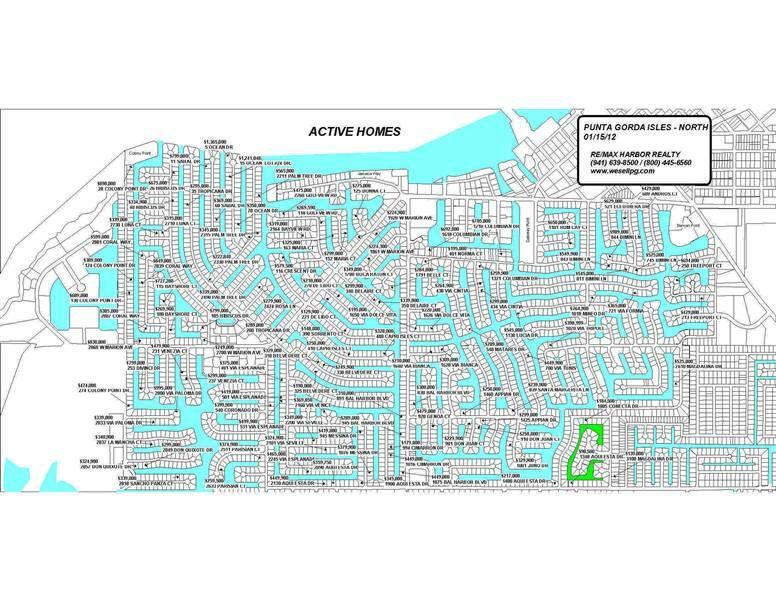 Give me a call for more detailed information on pricing and Communities in the Area… 941-628-6768. I look forward to it! Here in Florida we have an assortment of natural attractions such as beaches, swamps, forest, and large grassy fields which animals will graze in. Of course we’ve all wanted to see animals in their natural habitat yet some animals can’t return to their native homes due to severe injuries from predators and poachers. Even littering has caused some animals to be sent to the Peace River Wildlife Center in Punta Gorda, Florida, a non-profit organization that focuses on preserving the wildlife of Florida. 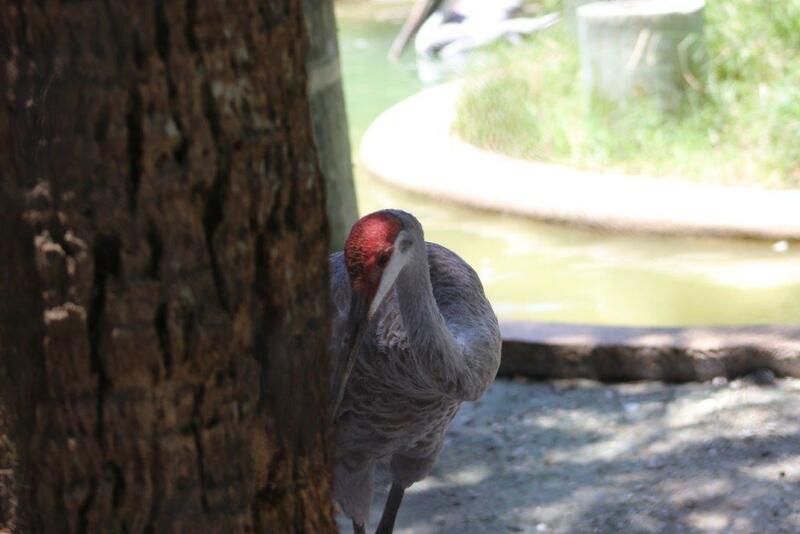 The majority of animals here are birds yet squirrels, rabbits, and turtles are also in their care. Here animals with injuries that would overall impact their life in the wild can live peacefully with the care of the volunteers. 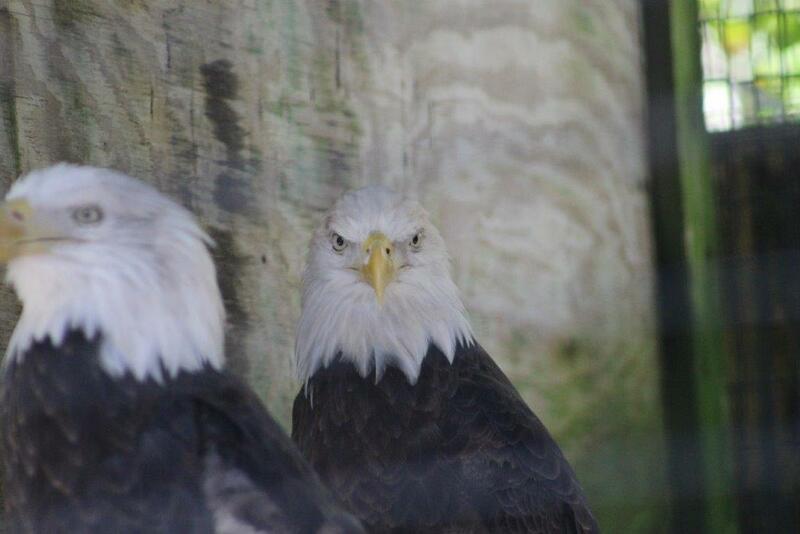 Now out in the wild birds don’t really want to flamingle with us humans but at the Peace River Wildlife Center we can get a close up view of some of Florida's elusive birds. Birds like Pelicans, sometimes called ‘penguins’ by the volunteers as a joke, will happily splash in their lazy river pool for onlookers and during feeding time even come right up to the fence as if they’re asking us “More fish please!” Graceful Sandhill Cranes and cormorants share this space with the Pelicans as well in the open air enclosure. This means wild birds can visit the PRWC resident birds anytime during the day; this creates good social bonds for the animals and allows children of the birds to visit their parents. One resident doesn’t have any kids but a wild posse instead. 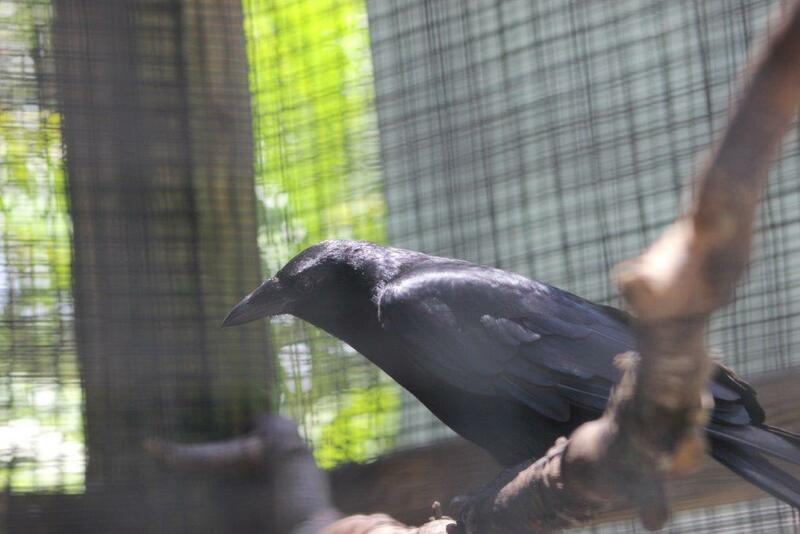 A fish crow named Spirit, who use to be a pet, has enlisted the help of several other wild fish crows to bring her food such as wild berries and even little fish. You can ever catch her saying ‘Hi!” or “Hello!” to visitors once in a while. 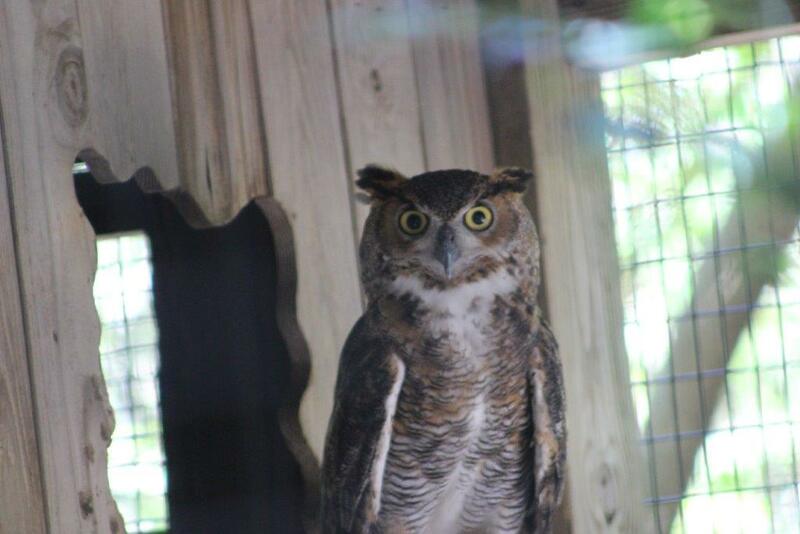 There are 100 and more birds living at the PRWC each with their own story such as Luna the leucistic screech owl, Flat Stanley the turtle, and Squiggy the squirrel but these are stories best told by the tour givers. 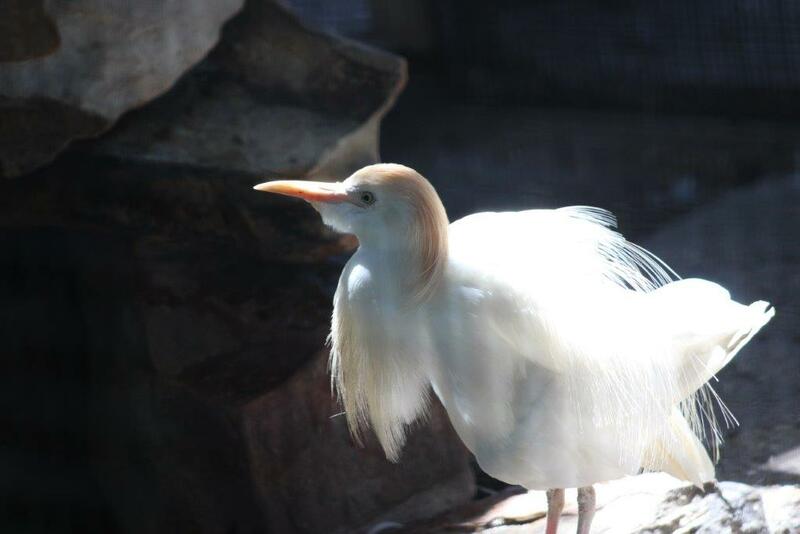 Tours are given every day from 11am - 4pm and if you want to watch the Pelicans being fed it starts at 2:30pm. 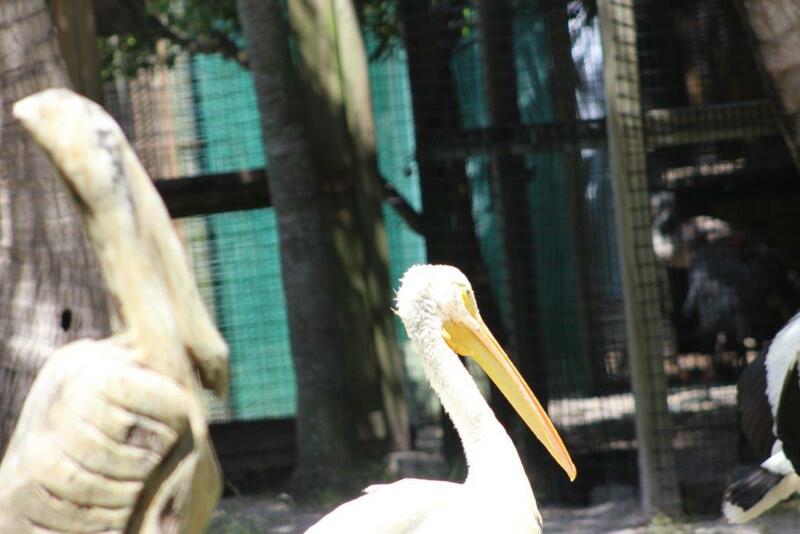 The feeder will share some information about the Pelicans on who they are and what their daily life is like at the center. If you’re looking for something more when visiting these birds consider becoming a volunteer where you can help prepare food, feed, and clean up after all the birds. PRWC also have events to help raise money to continue caring for all the birds that live there, click here for their event calendar. So if you’re looking for a place to see animals up close as well as hang out in the shady park nearby consider stopping by the Peace River Wildlife Center. The gentle kiss of spring wind is finally here in Punta Gorda, Florida. 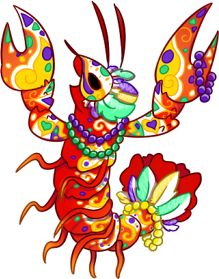 Along with this breeze is the smell of blooming Jasmine, Rose, and wait…crawfish??? Either this means my lobster claw flowers are blooming nicely or PGs Seafood Festival is upon us! Well if you’re hoping for the later, you’re in luck! March 7th- 8th at Laishley Park will be Punta Gorda’s Seafood Festival. Come with empty bellies for there will be a fresh feast ahead of you once you pay the 2$ admission fee. Once you have your food sit down and enjoy the live music or water ski show! There are also craft vendors and a kid’s playground for those children who always have extra energy, but don’t seem keen on sharing it with their tired parents. If you’re one of those tired parents or just a general seafood lover click here for more information. My oh my I smell another scent on the wind…it’s the smell of kilts and bagpipes; I didn’t know they had a smell that’s odd. Anyways! This must mean one thing! We have a new superhero, CelticMan! Oh wait no CelticMan is holding up a sign, it says that there will be a Celtic Festival on March 8th. Ah that makes much more sense, or should I say scents. The 15th Annual Peace River Celtic Festival will be held at The Celtic Ray Public House, 145 Marion Avenue, Punta Gorda. Here we will celebrate the Celtic heritage with food and drinks as well as live performances! Admission cost 5$ and is from 12pm-7pm. Here’s a link with more information for ye Celtic lovers. Gasp another scent! Just kidding this event is a free visual one. On March 8th will be the 13th Semi-annual Art Fest on the Farm. Come see over 50 artists portray their beautiful artwork (that’s hopefully not haunted) at 25370 Zemel Road. Stroll around and see art that is worth discussing and inquiring about, like Claude Monet once said “Everyone discusses my art and pretends to understand, as if it were necessary to understand, when it is simply necessary to love.” This event is hosted by Inspiration Studios, which sells jewelry and also offers classes for Jewelry making and painting and Pottery Express/ Bamboo Farms which sells beautiful pottery, statues, and fountains. Food and drinks will also be sold at this event. For more information click here. For the first time in Punta Gorda is the new Short Film Festival! I cannot contain my excitement for this two hour event showing comedies, dramas, and animated “Best of show” films collected from other previous Film Festivals since 1987. Imagine being enraptured into a story of such depth and character to find out it’s only five to ten minutes long. This is what a short film is and artists and directors have honed this gift to create the best of the best short films to be shown on the 11th. This event will be held at the Punta Gorda Event Center on March 11th starting at 7:00 make sure to get there early though to grab good seats! Admission is 15$ plus fees but you can order tickets early here For more information on the Film Festival click here. If March is filled up with plans here’s an event starting on April 24th, the Country Life Music Festival! Country music star and recording artists Reba McEntire will be opening the stage with our talented people like Tracy Lawrence, Chris Young, Chris Weaver and our own local band the Jack Michael Band! More bands will follow up as well as some new songs unheard of until this festival. If you’re ready to rock with your friends and family then drive on over to the new Tracks and Trails in Punta Gorda. Tickets right now are on sale for 49$ (originally 79$) and can be preordered from here. For more information check here or here. With all of these event’s going on remember to be safe and have fun! Bring a friend and happy partying! The Newest Member of the Vaughn Team. Wouldn’t you like to get away? To a place where everybody knows your name and they’re always glad you came? This cozy place isn’t Cheers but instead Fishermen’s Village! 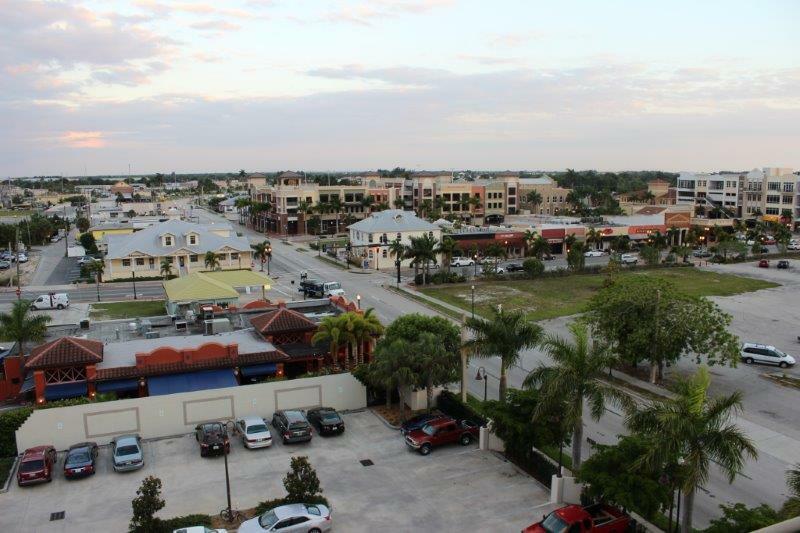 A resort and shopping center on the Charlotte harbor located at 1200 West Retta Esplanade. 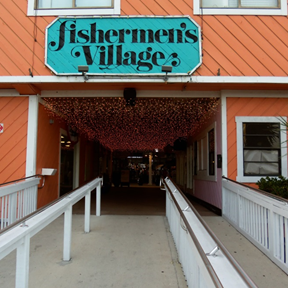 It’s hard to decide where to begin when talking about Fishermen’s Village. From the stores to the comfy looking rooms and the view everything about Fishermen’s Village is amazing. Yet possibly the most amazing thing is the multitude of events happening here. Grab yourself an ice cream cone from one of the sweet shops and sit down to listen to a musician with your family on Fridays 5-9pm. For an event list click here. 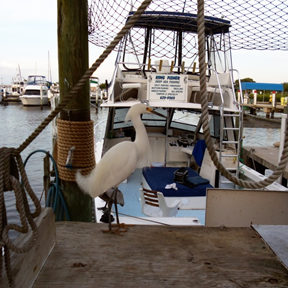 If adventuring is more of your thing walk on down by the marine for information on a cruise, boat rental, or fishing tours or click here. Careful though! 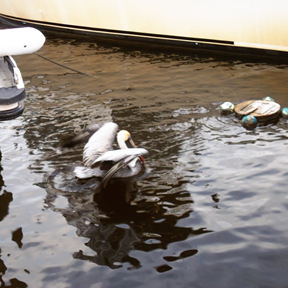 You might encounter one of Florida’s many silly looking birds. If you keep following the path by the Marine you’ll end up at a restaurant known as Harpoon Harry’s. Find a stairway and go up it to a fancy buffet restaurant called The Captain’s Table. If you’re hanging out with friends or meeting up with some family members that you haven’t seen in a while both restaurants are perfect places to go. 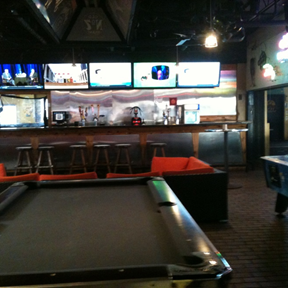 Harpoon Harry’s has more or a bar theme and sometimes live music. If you have little kids with you worry not! For there are arcade games a’ plenty as well as Pool and Air Hockey to entertain them. Upstairs The Captain’s Table isn’t set up for a rock and roll band but does have a large grand piano with almost always someone caressing a song out of it. In both restaurants I have been met with friendly smiles and a lovely staff that knew how to take care of their customers. While walking around Fishermen’s Village it’s common to feel relaxed and at ease. Something about the large walkways, tall ceiling and the open building remind me of being in a forest with nothing to do but relax. Of course forests don’t have shops and a harbor right next to them. Of these shops Fishermen’s Village has ice-cream, clothing, furniture, gag-gifts, knick-knacks, olive oil, and the Military Heritage Museum. 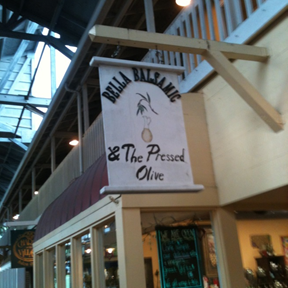 Shops like Bella Balsamic & The Pressed Olive have professional mixologists to create perfect olive oils and vinegars for everyday use. Or if you’re here with your lil dog check out Salty Paws! 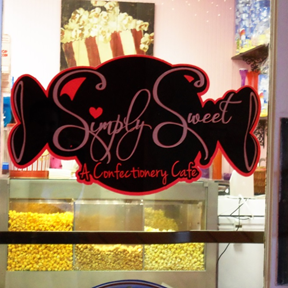 An adorable shop filled to the top with dog treats and apparel. My favorite shop is the Dragonfly Gallery which sells beautiful blown glass ornaments, ones that are perfect for hanging in front of a sunny window. The way the glass catches the light it just puts the perfect touch to a creative room. Today was another day well spent at Fishermen’s Village! With family and friends around it’s impossible to feel alone when I’m here. Yet even if I do let times of sadness catch up to me I just remember “Hey! I live in Florida!” and that tomorrow is another sunrise. At the bottom of this blog is a link to a very useful Newspaper Article in the Sun Newspaper, which gives all of the Particulars of the Punta Gorda Isles Waterfront Canals. Back in the 70s, when I was still a single digit, my Mom worked for Punta Gorda Isles during the developmental stages. Of course as a child, I was not too concerned about the housing market, population growth, or boating access. But, it was a time of many firsts for me. THEN: From the viewpoint of a child in growing Punta Gorda Isles: I saw my first Helicopter.. as the developers flew into Punta Gorda Isles Administration; I hopped my first hump back bridge on my bike; I saw my first waterfall inside a house, my first waterfall for that matter ..'House of the Waterfall' model; copied my hand with the xerox machine.. that was cool; and caught my first fish in a PGI Canal. Much of my days as a Realtor in Southwest Florida is spent talking on the phone to customers from states North of Florida, who have decided that they no longer want to endure the cold winter. They plan to retire soon, going to sell their home and head down to Florida to take a look around! First decision to be made is... where to visit and why? Any certain town or county of interest? Planning to live near the beach, to walk the beach and watch the sunset every night? Or.. maybe the preference is to live closer to the Interstate to have great access to explore different areas of Florida? After determining the County and general location that fits within their lifestyle, the next step is to decide upon the features of the home! This is the point of the decision-making process, which I will call 'The Crossroads'. I can come up with many reasons why it is better to build new, and I can come up with many reasons why it is better to purchase resale. Ultimately, what it comes down to is buyer preferences, time frame before moving, and budget. There are many advantages of new construction, including improved Energy Efficiency Standards; most current Building Codes; Higher Land Elevation for properties that are built up.. which could result in lower flood insurance rates; Flexibility of upgrades and ability to customize; and typically the builders will offer a Structural and Mechanical Warranty upon completion of construction. Costs for new construction are higher than the costs for resale, without a doubt, but how much higher? Of course the percentage difference would be determined based upon the particular home to be built vs the particular resale market.. as every area has a variance of values. I'm finding within some communities the cost to build is only 10% higher than the resale market. In this case, if the Floridian-to-be has time, patience, and enough money.. then Build! Build! Build! Now on the flip side, a buyer has expressed interest in buying a Florida home, and is within a tighter budget or possibly even enjoys the thrill of a remodel project or would like to move into a particular mature, established neighborhood, with a lake view. But.. .often times, there is no vacant lake view land in mature neighborhoods, because the best locations are usually the first to be built, in which case, a resale home would be a better option. Another great attribute of a mature neighborhoods is lush landscape and mature trees within the area gives the neighborhood a warmer feel. Neighbors who have lived in an area for many years, within an established neighborhood promotes the feelings of safety and security. And with the money that can be saved on the resale pricing, there could be some room in the budget for updating and upgrading. One more comment... resales are often more of a complete package, including the blinds on the windows, the fence in the backyard, the doggie door, etc. To Review some pictures of new construction upgrade options, www.TheVaughnTeamSells.com and click on Pictures of Area Attractions: PGI Homes . For More information about PGI Homes or other local builders, please call me direct at (941)628-6768 or Email TammyVaughnSells@gmail.com . I look forward to hearing from you! Bobble Fest is another way to describe the continuing tradition of 23 years... The Charlotte Harbor Freedom Swim. For those who don't live in Charlotte County, in the areas of Punta Gorda, and Port Charlotte .. yet.. you would probably just think everyone who lives here is a little bit nuts on Independence Day. 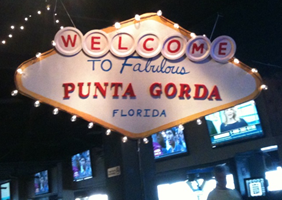 For a small town though, Punta Gorda has got some serious Spirit! The story goes, 23+ years ago, local Attorney Michael Haymans and some buddies decided to take the plunge, and swim the Charlotte Harbor on Independence Day. Rumor has it, the swim was swum Au Natural.. or Free-style by the Attorney, and ever since has been called the Charlotte Harbor Freedom Swim. All ages of children and adults, meet on the Northern side of the Bridge with Noodles, Rafts, Canoes, Kayaks, SUP boards, and any other potential water craft that will make it from side A to side B. Mostly everyone is dressed in some sort of red, white and blue, from speedos to- one guy sported a Captain America suit on a Sup board this year. Over the past couple of years the swim has included about 600 participants, of which about 300 actually swim. I also swam across the Charlotte Harbor this year, with my husband, and Real Estate partner, Chuck, as my spotter in a kayak along side. The distance is 1.6 miles, straight across from Charlotte Harbor Northern side of the bridge to Fishermens Village on the Punta Gorda side. To me, this event, gives me such a feeling of Pride, pride in myself for swimming across a pretty large body of water, but also pride in my hometown of Punta Gorda, and pride in the residents, who make the event so fun. When I made it to the other side, at Fishermens Village, to see all of the smiling, happy faces, music playing, people laughing, and just pure happiness all around.. that's what it's all about! That is why, I love, love, love Punta Gorda! Did I mention.. I love Punta Gorda! So, maybe next year, I'll see you all there ! One main reason I enjoy living in the Punta Gorda area, is the wide variety of beaches that are a short distance away, to the North and to the South! The waves breaking on the shore may look similar from beach to beach, but each beach has obvious differences. Some beaches offer more of a touristy environment, with lots of shopping, hotels, bed and breakfasts, tiki bars and restaurants, while other beaches offer the beauty of an untouched natural setting with plenty of wildlife. One can appreciate the raw beauty and serenity these beaches have to offer. Lovers Key is one of the more natural beaches located between Fort Myers Beach and Bonita Beach in Lee County. Last weekend I ventured out to Lovers Key and was reminded why I love where I live... 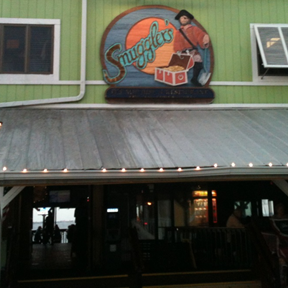 I posted some pictures of the trip on my website www.TheVaughnTeamSells.com click on Pictures of Area Attractions. A friend was out to the Island a week earlier and found starfish and sand dollars, at low tide, about four feet out. These are the largest starfish I have seen.. pretty amazing! In the past, Lovers Key was accessible by boat only and it has been said that only lovers traveled to the island to appreciate the quiet solitude of the beach. Now, Lovers Key makes up one of four barrier islands within the state park, which is a home for wildlife, such as West Indian manatees, bottlenose dolphins, roseate spoonbills, marsh rabbits, and bald eagles. The beach is two miles long, and accessible by a boardwalk or tram to get to the South side of the island. Until next time... Stay Warm! Riverwood Golf and Country Club is one of my FAVORITE communities in all of SW Florida, nestled right along the Myakka River, a short distance to the beaches, with 1300 Acres, 300 of which is preserves and lakes, and includes 29 different communities, including Golf Club, 18-Hole Championship Course, Activity Center, Tennis, 6 Har Tru Lighted Courts, Resort Style Swimming Pool, Myakka River Walk (# Fishing), a private Beach Club, Lawn Bowling, Bocce Ball. The list goes on.. 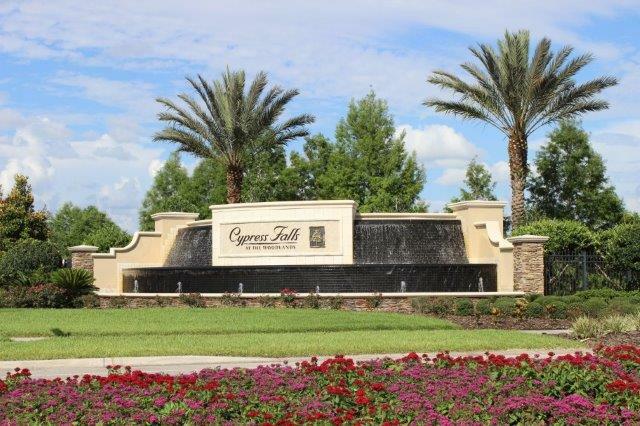 The community was designed so each homesite has a view.. greenbelt, lake, preserve, golf course. The houses are not situated back to back, so you have privacy on the back patio, and the natural wildlife in your own back yard. Just the peaceful and serene feel, of driving into the community, beyond the (24 Hour) Guarded Gate with the Tree lined streets, and natural settings of preservation land and wildlife through out the community is enough to induce a one with the self moment. There are plenty of walking paths, bikers, joggers, golfers, tennis players, and not to mention the sun-bunners who enjoy laying out by the pool in this beautiful sun filled location. Many residents within Riverwood are active adults with a motivation to be physically fit, and active. With a full time activities director, there is always an event in the working.. and a buzz amongst the residents, who love to be involved in the many activities. 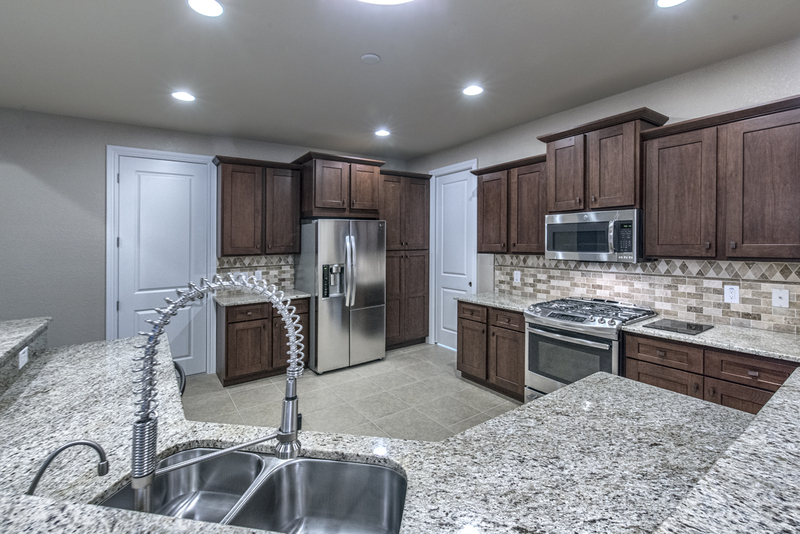 New construction is available, however almost sold out, starting in a range of low $200,000 +. The deals on New Construction are phenomenal, and newly constructed properties are built to a higher elevation resulting in the lowest possible rate for Flood Insurance. When you plan to visit the area to purchase your Florida Home, be sure to contact me to show you around! (941)628-6768 Tammy Vaughn. I'll be in touch soon.. after my next adventure :-) ! I have not blogged in a while, but this deal is too good to keep quiet. Cypress Falls is offering new construction Paired Villas starting at $152,000 including the lot premium! For a 2 bedroom 1363 Living square feet, including lots of upgrades within the Standard Features. 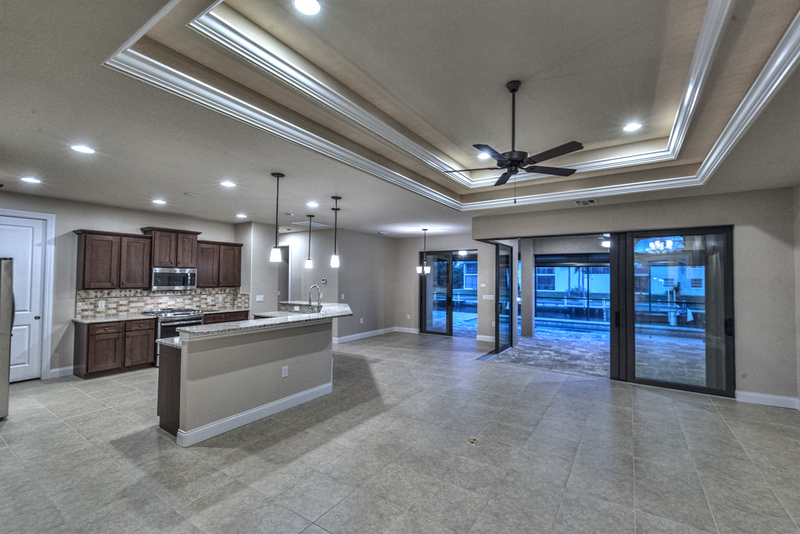 This is the best deal I have come across for new construction in a 55 plus community, yet! What I like about Cypress Falls, is the resort style pool with lots of mature palm trees and pavered decking. There is always music playing poolside... and also a second pool with resistance, for exercise. (or you could use the pool as a lazy lagoon) There are always activities going on, and an activities director who works full time. The fitness center is larger than any of the other communities in this area, and there are walking paths throughout the entire community! When I bring customers to this community to show the area, we often come across the Sandhill Cranes with their babies, walking throughout the subdivision. I was out to Cypress Falls yesterday to take pictures of the area, so if you click into my website.. www.TheVaughnTeamSells.com and click on the Tab on the left ' Pictures of Area Attractions', you will see a link for Cypress Falls with a few pictures. There are also pictures of Boca Grande Island and the City of Punta Gorda. I am pleased to introduce a very valuable and new member creating the Vaughn Team. Charles has a significant history of sales experience and will prove to be a great asset to our Real Estate business. We plan to continue to offer exceptional service to our past, present and future customers. Our services include listing and selling properties in the Southwest Florida area. No job is too big, and no job is too small!! We are available for a complementary Market Analysis and for Personal Buyer Consultation. Also, we are both members of the Remax Referral Service, so we can find you an agent in another state or country to handle your real estate needs. And we love to receive referrals as well! Thank You 'so much' for your continued support! This beautiful waterfront pool home has been RECENTLY REDUCED making it a great value in today's market. 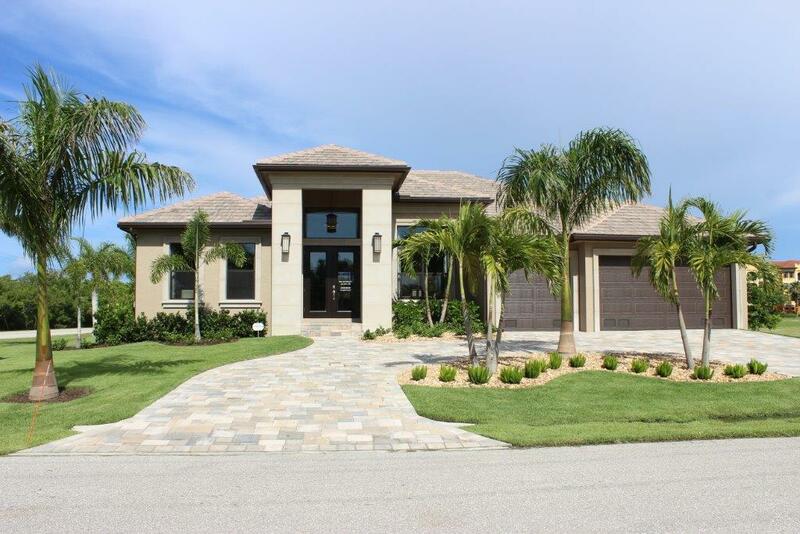 Built in 1999, this 3/2/2 home is the best priced newer home in desirable Punta Gorda Isles. It features the popular great room floor plan that is spacious and open to the formal dining room and eat-in kitchen. The attractive glass double entry doors and tall sliders make this home bright and airy in the inside. The property has 85 feet on the canal, an extra long 45 foot dock with concrete poles, and a heavy duty 13,000 lb boat lift. It has wonderful paver sidewalks around the house and down to the dock, and a circular driveway. Other features include a heated gunite pool, caged lanai, manablock plumbing, central vacuum, plantation shutters, generous walk-in closets in all of the bedrooms, mature tropical landscaping, and too much to list here. Another big plus is that the home has newer carpets and tile and fresh paint. Although this home is aggressively priced, it is not a foreclosure or short sale, a quick closing is possible. Move in ready. Make this a must see... you won't be disappointed. The US News and World Report Lists Port Charlotte as one of the 10 Best Places to Retire in 2012... the article explains..."Port Charlotte home prices were battered by the housing bust, which could mean bargains for retirees new to the area. The median home sale price was a shockingly low $59,950 in 2010. And many of these homes are located along canals and waterways. "There are a tremendous number of houses on the water, and everybody's got their boats in their backyard," says retiree Chris Zwirner, 78. "All the people who live on water essentially have access to the Gulf of Mexico, and from there you can go around the world." The Charlotte Harbor Preserve State Park spans 42,000 acres, including 70 miles of shoreline along the Charlotte Harbor. An added bonus: Florida has no state income tax." Not to brag. . . Well, OK, I'm bragging!! Port Charlotte, Florida, on Thanksgiving morning is 72 Degrees, warm, sunny, nice breeze. My windows are open. My sliding door is open, and I'm cooking away for a Great Family Gathering!! Someone told me there was snow up North, so I did a google search, and it's true! I would expect one would have to shovel the snow out of their driveways, or scrape ice off their windshields. I'm not so sure, cause I've always lived here in Florida, but I could NEVER imagine. Hopefully, after Thanksgiving Dinner, my family and I can all head out to Englewood Beach and watch the sunset. That would be really cool (figure of speech, because it's really warm). A picture of my backyard is below, incase you don't believe me about the weather!! Happy Thanksgiving ALLLLLL!!!!!! !